Q: For years we have followed the saga of the Mono Lake property that you have represented and the potential for it to be used in a Forest Service exchange. The media has covered the story off and on and it gets more confusing to us all of the time. Can you give us some clarity, or at least your take on this? A: I can give you my view, but I don’t know how much clarity. I first got involved with the “Cunningham” property six years ago when the owners Bill and Robin Cunningham approached me to work with them in marketing their property. Little did I know that I would be drawn into an adventure that now has me writing a book that I intend to self publish. The book will be a true story–no fiction. The book exposes a variety characters (most you know), woven plots and sub-plots, and a unique look at some of the history and insights into the Eastern Sierra and Mono Lake. Some of the best chapters are yet to unveil themselves. But we’ll have to wait for that. The media has covered the history of the property and the processes. But only Bill Cunningham and I have the bulk of the story–and it fills dozens of file boxes. It is a classic real estate story with the Forest Service exchange process at the foundation, a process that the media and public need to watch more carefully. Early on I was told that the exchange process had become “conservative” because of past corruption–hence what Rusty Gregory refers to as the “65-step process”. I have come to believe that the 65 steps were more likely devised to lose the scent of malfeasance rather than to prevent it, but that is my opinion. The media and public need to pay close attention because it is John Q. Public’s land that is being traded. 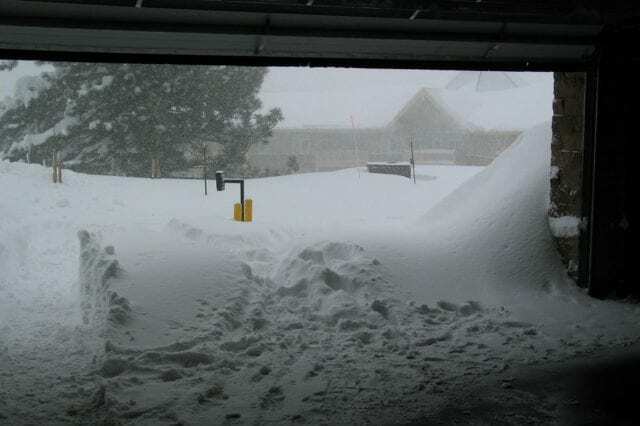 All of you and I own the property known as “the Church site”–the 11 acres across from McDonald’s on Main St.–and the land under the Main Lodge of the Ski Area and the Mammoth Mountain Inn. Those properties have become extremely valuable. The control of that value is left to some federal bureaucrats (Forest Service) who approve or disapprove the third-party appraisers and appraisals completed on properties. From my experience the approval/disapproval process is arbitrary and capricious with little public scrutiny. Based on recent sales I could value the church site at around $20 million and the Main Lodge acreage could be worth upwards of $100 million. Now if the church site is exchanged for the benefit of Mammoth Hospital, Mono County and the Town, I really don’t care if the advantage is swayed towards the receivers of the property because it is John Q. Public to John Q. Public. (Although some guy in who-knows-where might not like it.) But if the advantage is swayed to, as Barry Sternlicht refers to them, “oil sheiks, Hong Kong billionaires, and hedge funds” (guess who now owns our Ski Area and town), then I do care. I don’t think the public should stand for it. And if the property isn’t acquired by exchange but they are still allowed to carry out the development plan, then the public needs to be assured they are receiving proper economic value. So back to the Cunningham property. The Forest Service is standing pat on the “Gaston” appraisal that was dated Sept. 9, 2002. In my opinion the appraisal was greatly flawed. I wrote a several page critique of the appraiser’s work. 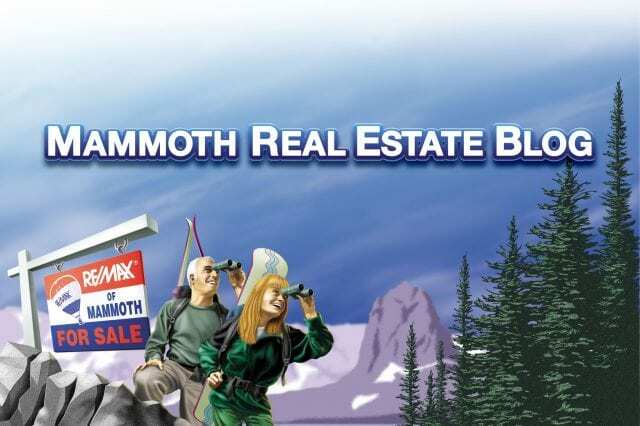 The comparable sales were from the mid-1990’s and were not properties that would support a quality residential subdivision and they were not 30 minutes from a resort community like Mammoth Lakes. But most importantly the appraiser blatantly ignored the appraisal instructions. In a recent Mammoth Times article, Rusty questions whether the value of the Cunningham property should be valued based on entitlements or in light of the “significant opposition” the development would receive. But Rusty wasn’t part of the process that crafted the appraisal instructions for the Gaston appraisal. I was. 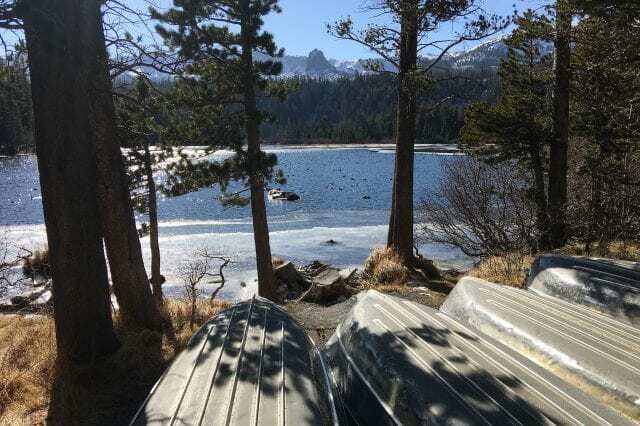 The instructions were to value the property “at what Mono County would reasonably be expected to approve.” Cunningham had been told by the Forest Service to pursue a development plan for valuation purposes. All of that has been ignored. The Forest Service continues to support the Gaston appraisal as the value for a potential exchange. Today, from all appearances, the powers-that-be are condoning a classic buy-low sell-high scenario in a government controlled transaction. Subsequently, the property (the approx. 119 acres on the west of Hwy. 395) was appraised by Mason and Mason, a very reputable and Forest Service approved appraiser. The American Land Conservancy hired the appraisal for another potential exchange. That appraised value (June 26, 2003) was well over twice the value that the Forest Service is still clinging onto. That appraisal was also based on the appraiser communicating with Mono County and understanding “what Mono County would reasonably be expected to approve.” Today, the Mason and Mason appraisal is 3 years old and the comparable sales data is grossly antiquated. Obviously, prices have gone much higher. I have been subjected to many negative comments used to describe Cunningham and his lack of acceptance of this flawed (and very antiquated) appraisal. Today, if this process were not corrupt in some way, the parties would simply agree to carry out the appraisal instructions, and agree on and hire a new appraiser. The parties (including the public) could scrutinize the process and decide whether the valuation is fair. That is what we would do in the real world of real estate. The really odd thing is that if this property is to be used as part of the Main Lodge exchange, the Mountain really shouldn’t care what the appraised value is–they simply need to build an account of property valuations to trade dollar-for-dollar for the valuation of the Main Lodge property. And as Rusty has stated, returning the environmentally sensitive Cunningham property to public ownership “puts him in the good graces of the environmentalists”. I’m sure he hopes those “good graces” will garner him support from the environmentalists for the Main Lodge development plan. So instead of the parties encouraging a new and fair appraisal process to establish a modern valuation, the Forest Service has folded their arms and is sticking to their very antiquated appraisal. And Cunningham gets letters from the Mono Lake Committee’s high powered San Francisco attorney’s threatening civil actions if he proceeds with a development plan (that can perfect his true valuation). And the Mono Lake Committee and the Forest Service continue to exert that the Mono Basin Scenic guidelines supercede Mono County planning regulations even though a variety of legal opinions (including the Office of General Counsel for the Forest Service and the Mono County Counsel) refute that. And the Ski Area even promises to strongly oppose Cunningham’s development plans if he moves forward. All it would take is a clear and fully disclosed appraisal and valuation process and everybody could win–the property can be reverted to its natural state under public ownership and be preserved in perpetuity, Cunningham could get his value and get on with his life, the Mountain can acquire a small chunk of the total equity account that they need to facilitate the Main Lodge trade (and be in the “good graces” of the environmentalists), and the public can stop questioning the suspect nature of the exchange process–at least in this transaction. Striking a win-win-win is the only mature solution. One of the most ironic circumstances of this whole story is that while I was marketing the property and Cunningham’s development plans were public–especially being publicized in the Mono Lake Committee’s newsletter–that Committee members, essentially the real financial supporters of Committee, were calling me to see if they could get on a reservation list to purchase lots in Cunningham’s premier residential subdivision. They were excited about the idea of having their architect design a home for one of the lots on the upper benches. 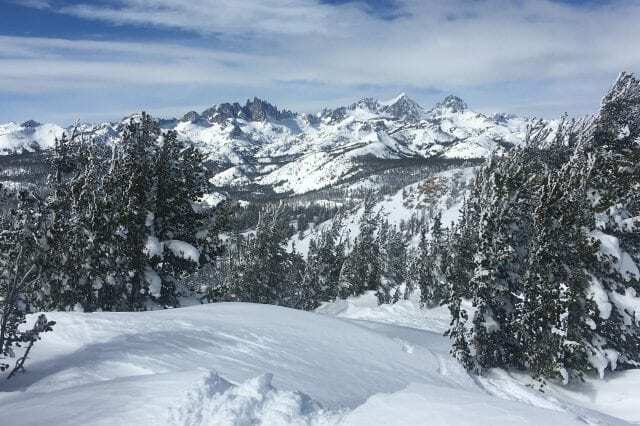 Ah, the views are some of the most spectacular in the Sierra! There is plenty more to this story. The Cunningham land exchange has had the support of the Mono County Board of Supervisors to Senator Feinstein’s office. A transparent process would certainly help. But the bigger question for Mammoth is are we resigned to have our community become a pitiful little monopoly piece of “oil sheiks and Hong Kong billionaires” or are we, as a community, going to maintain some control? As you are preparing to vote for a new Town Council and beyond, keep that in mind. We need brave public officials in the years to come. And please support or join us for the annual Town Clean Up on June 10. Boy, does this town need cleaning up.